Spring has sprung! This time of year is perfect for changing our focus, setting goals and getting things done. 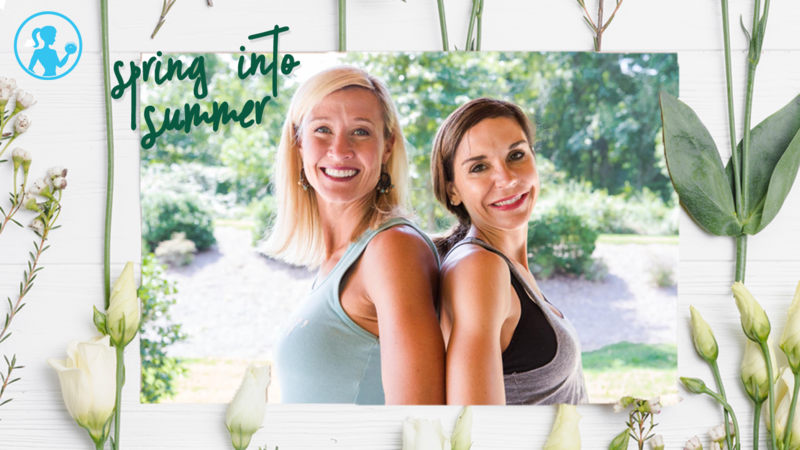 Our Momsanity Sisterhood offers the perfect solution for Moms who are ready to dig deeper and make lasting changes while setting realistic goals that involve more than a scale or diet plan. 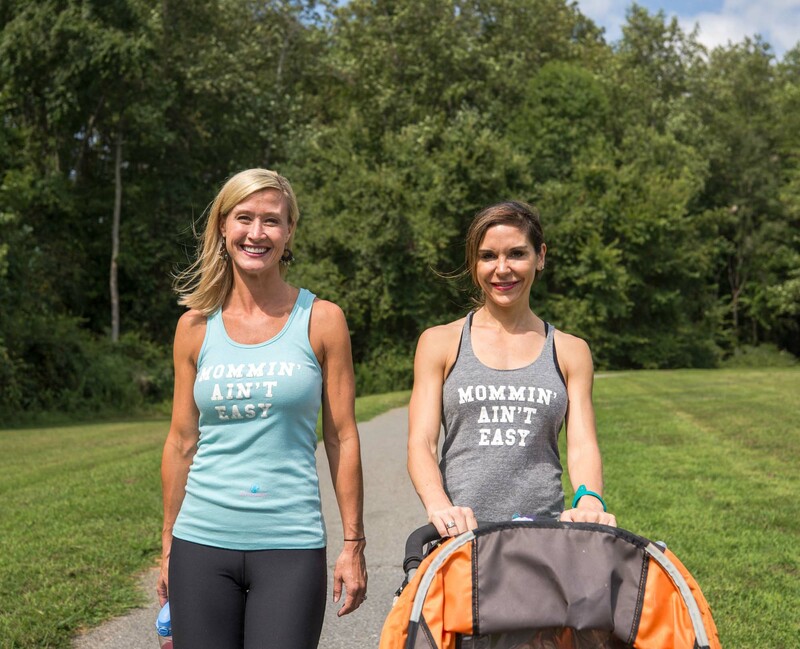 Right now you have the opportunity to become a NEW member of our Momsanity Sisterhood, a community of moms who want to be God’s hands and feet in your life as we pursue a healthy lifestyle together. We're going to work together for 3 MONTHS and then YOU decide how long you want to be a member. We want to be on your team. We want to help you take this journey one step at a time. You don't NEED to reinvent the wheel. It's so much simpler than that. What if for the next month ALL you focused on was 3 workouts per week that are under 20 minutes? Moms are busy and pulled in 5,000 directions daily. When we begin to try to make lots of changes at once we often set ourselves up for failure. In our Sisterhood we take it one step and one month at a time. 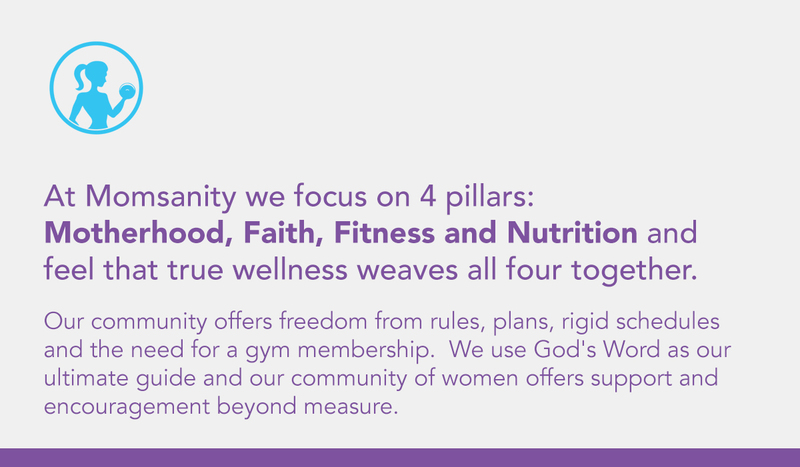 Right Now you have the opportunity to join the Sisterhood for just $57 for 3 months. That's one full month FREE! You'll enjoy all of the benefits of membership (see below) and our special Spring Into Summer Programming. After the 3 months your membership continues at $29 per month for as long as you wish to be a member. No long term obligation or hidden fees. When you become a part of Momsanity, you will receive support, prayer, encouragement, and inspiration from hundreds of women who are in the trenches just like you! Jesus is at the core of everything we do. YES, He cares about your journey in motherhood, fitness and nutrition! 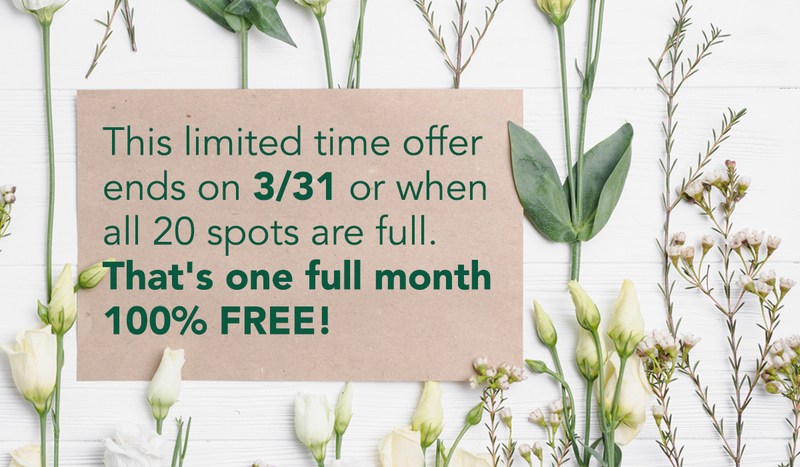 Pay just $57 for your first 3 months of Momsanity then nothing more for 90 days when you'll begin your $29 monthly subscription. Cancel at any time! (When you click on Purchase Offer it's going to say "$29 every month plus $57 set up fee". You WILL NOT PAY $29 per month for 90 Days when your monthly subscription begins. There is no obligation to continue beyond the $57 initial payment).